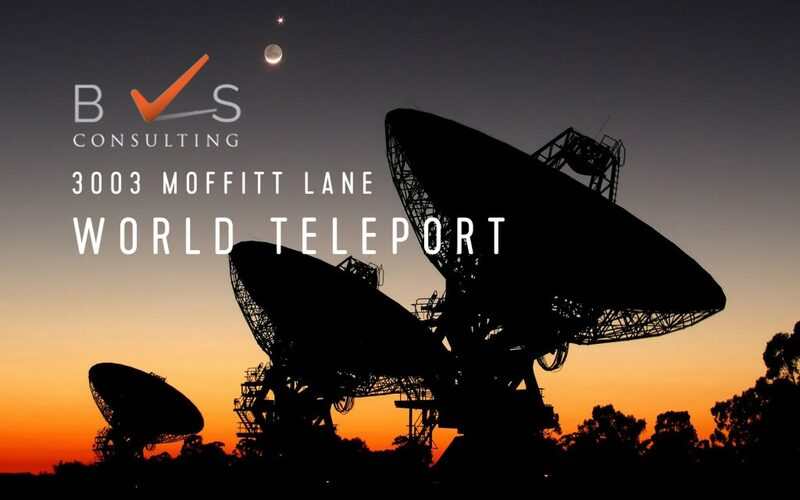 Located in Missouri City (20 minutes from Downtown Houston), World Teleport is a 3.397 acre property with a 15,000 sq. ft. building equipped to be able to operate as a world teleport, a disaster recovery site and in my expert opinion a green data center. A tract of land containing 3.397 acres (147,974 SQFT) being Restricted Reserve “A”, McHARD ROAD CENTER, a subdivision in Fort Bend County, Texas according to the map or plat thereof recorded in Slide No. 752/B of the Plat Records of Fort Bend County, Texas. 6,000 SQFT for colo (NOC). 4,000 SQFT for office space. 5,000 SQFT for storage facility. UPS System & diverse electrical distribution. Station Grounding System & lightening Protection. Fire Detection / Fire Alarm / Fire Suppression. Security/Surveillance System & Intrusion Monitoring & Alarm. Satellite RF Equipment & Systems. Test Equipment, tools & Lab fixtures and furniture. Shipping & Receiving fixtures, furniture & equipment. World Teleport facility is FCC Licensed to broadcast C-Band signal. 5 meter C-Band Antenna that is portable on the Mobile Uplink truck. 2.4 Meter C-Band- Rx Fixed 1 Port. 5.5 Meter C-Band- Tx/Rx Fixed 2 Port. 7 Meter C-Band- Tx/Rx Steerable 4 Port. 9 Meter C-Band- Tx/Rx Steerable 4 Port. 11 Meter C-Band- Tx/Rx Steerable 4 Port. 12 Meter C-Band- Rx Steerable 4 Port. 3.1 Meter C/Ku- Rx Fixed 2 Port. 4.5 Meter C/Ku- Rx Steerable 4 Port. Fiber connected to the AT&T backbone, Verizon, Phonoscope Cable (Houston-based fiber company), Comcast and Level-3 fiber cable on the front and back of the property for double redundancy.